It’s important to speak up early and candidly. There’s nothing wrong with asking your boss: “If I ever wanted to talk about my salary, how and when could that happen?” Judging their reaction will give you some idea of their openness to the issue. And it puts them on notice that you are seeking to advance your fiscal standing. And let your boss know what you are doing. In preparation for promoting your accomplishments, keep careful notes that highlight your value to the organization. Include details on accolades you’ve received, projects that were successful, and additional tasks you’ve taken on. Have all the info at your fingertips, accessible for discussions with time-conscious managers. This is crucial for highly-motivated employees who routinely assume additional responsibilities as a matter of course. Managers tend to notice low-performing employees because they require constant care and feeding. But productive staffers can easily be overlooked since everything under their purview runs so smoothly. You might be doing a lot and yet, your boss barely knows your name. Start by doing some research. What’s your company’s budget for raises? What’s the high, low, and average raise? If you don’t know, ask. If you can’t find out, use these guidelines. If you’re asking for a promotion, 10% is normal. If you’re asking for an increase, 3% to 5% is practical. In assessing your true worth, consider your locale as well as your job performance. How well does your position pay for your experience and skill level at the local cost of living? Don’t ask for a San Francisco salary if you are working in Des Moines. It won’t work. Unless you move to San Francisco. Besides, it’s always better to ask questions than to tell your boss what to do. If your manager can’t tell you, she’s likely weak in her people skills, or the company is structured poorly. In either case, it’s best to find out now. But if on the other hand, your boss does offer a constructive explanation, you’ll know how to orient your strategy for the next discussion. Always leave a discussion open to the possibility of a favorable outcome. Interpret a “No” as a temporal condition leading to an eventual “Yes.” Accept denial as an opportunity for landing the bigger raise in six months:when you land the major account:when funding in your department is doubled:when you are suddenly promoted. Despite what your friends might tell you, threatening to quit unless you get a bigger paycheck is dangerous territory. While some organizations give cost-of-living raises every year, the vast majority of salary increases are merit-based. The emphasis of your request, therefore, should be on the value of your contribution, not the threat of your leaving. Asking for a raise may currently be in the thought stage, but to win, you have to move to action. Know yourself and try to read your boss and anticipate her strategy. Advancing in the workplace takes research, assertiveness, timing, patience, skill, and determination. You’ll get what you want when you’re ready to obtain it. Hopefully, now your salary raising plan is clear and already in motion. If you’re interested to learn more about the different application of DISC, you may subscribe to our newsletter. 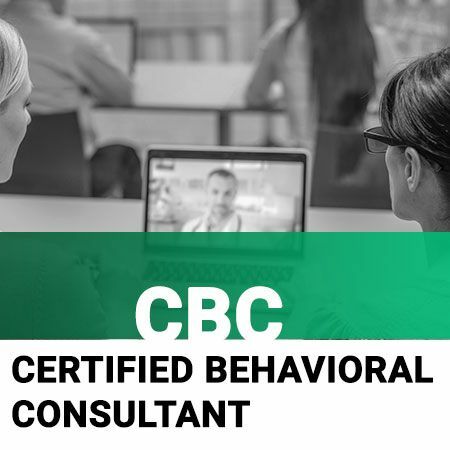 In case you already got a deeper interest in this wide universe of possibilities, consider DISC certification online in our DISC Behavioral Consultant Certification Training. The author Dr. Brad Smith serves as the International Director of Business Development for PeopleKeys Corporation and can be reached at bsmith@peoplekeys.com. The corporate headquarters main number is 800-779-3472 .